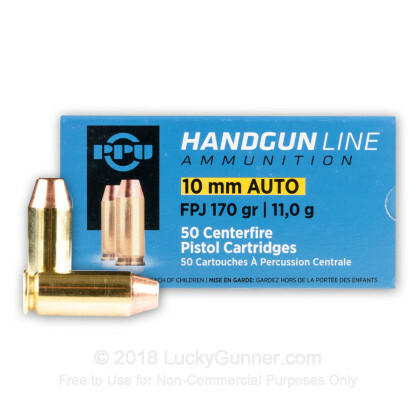 This 10mm Auto ammunition from Prvi Partizan is a cost-effective practice load for your pistol. 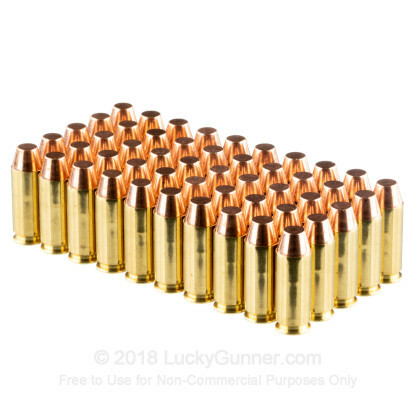 Each cartridge in this bulk priced case of 500 fires a medium weight 170 grain flat point jacketed bullet at a muzzle velocity of 1,115 feet per second. 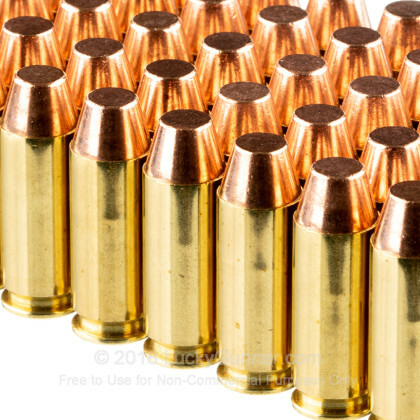 Flat point jacketed bullets are similar to FMJ projectiles, but have a flat nose instead of a rounded or spitzer one. This is normal for the 10mm Auto and produces more visible holes in paper targets. Prvi Partizan is based in Uzice, Serbia and has produced ammunition since the 1920s. 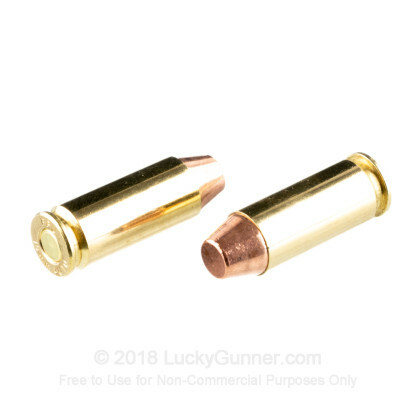 PPU is particularly notable for loading ammo in a very wide variety of calibers and serves as the only source of new factory ammo for some of the more obscure chamberings. Their products use non-corrosive Boxer primers and reloadable brass cases. 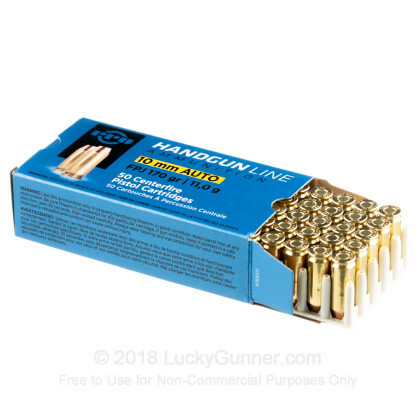 I can't believe how fast I received my ammo. Ordered it Tuesday afternoon and it was on my porch Friday morning. I've shot about 400 rounds and it shoots excellent. No misfires at all. 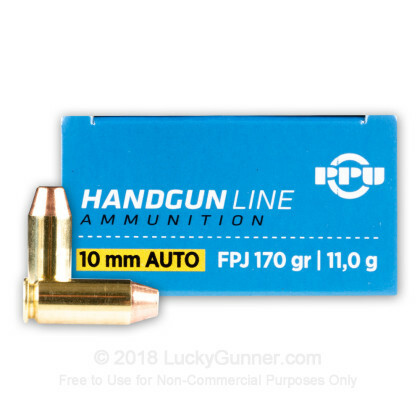 We also have this 10mm Auto - 170 Grain FPJ - Prvi Partizan - 50 Rounds ammo in stock in a smaller quantity.